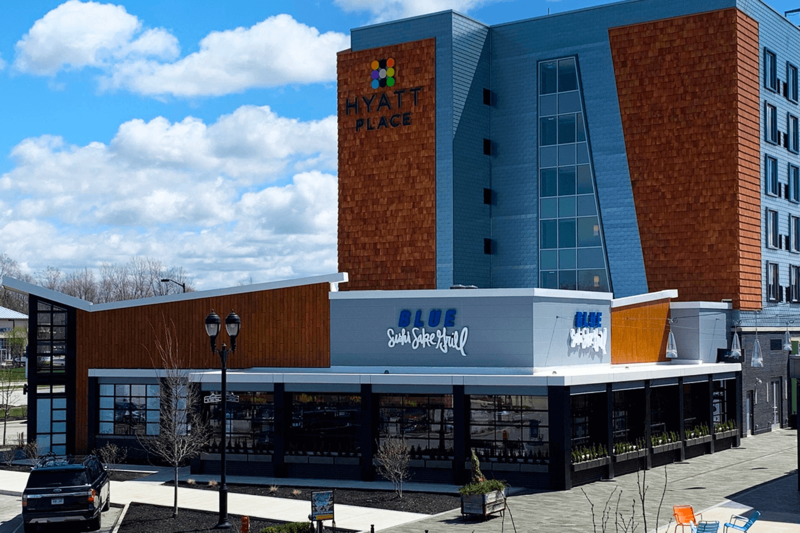 Experience focused restaurant, Blue Sushi Sake Grill, opens today in Crocker Park’s Comet Alley next to the Hyatt Place Hotel. The restaurant offers a new and fun way to experience sushi, uniting their creative menu using only 100% sustainable ingredients with their energetic atmosphere and refreshing, cold sake to spark happy and fun memories for foodies and guests alike. This will be the first Ohio location for the restaurant who will bring in over 65 new jobs to the Westlake area. For information on employment opportunities, visit https://bluesushisakegrill.com/jobs. Blue Sushi Sake Grill will be open for lunch, happy hour and dinner beginning April 16, at 11am. To make your opening week reservations, call (440) 328-4500. Situated in Crocker Park’s Comet Alley next to the Hyatt Place Hotel, the alley features locally owned and operated shops special to Cleveland. For an entire directory listing, visit www.crockerpark.com. Crocker Park features a mix of internationally known retailers, office buildings, premier dining options and luxury apartments and homes on 12 city blocks of Westlake, Ohio. Crocker Park is a part of the Stark Enterprises full-service real estate development portfolio. For more information visit crockerpark.com.